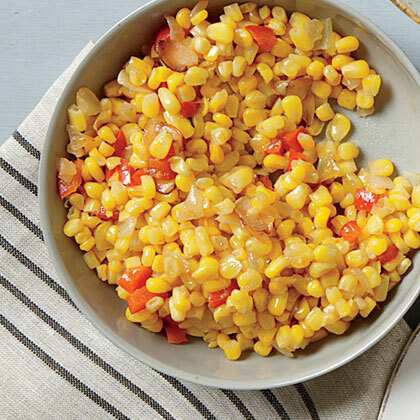 Search results for "bell pepper"
For simplicity and flavor, you can't beat Bell Pepper and Corn Sauté. 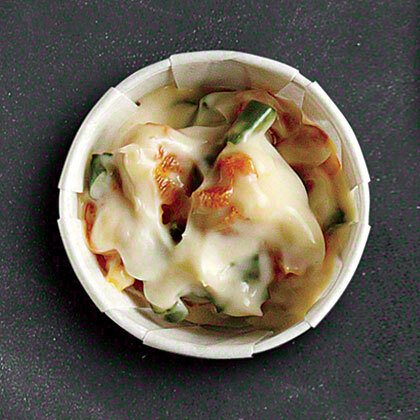 If you want to add a bit of heat to this side dish, substitute 1 tablespoon of minced jalapeño for the bell pepper. 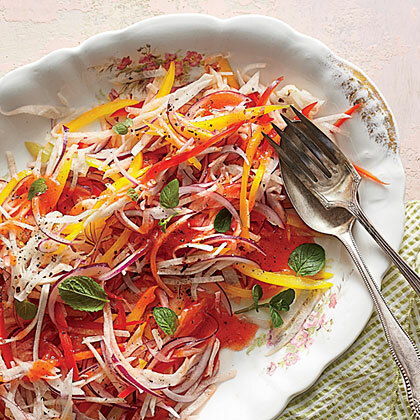 Our versatile cake filling does double-duty as a base for this deliciously refreshing Jicama-and-Bell Pepper Slaw. 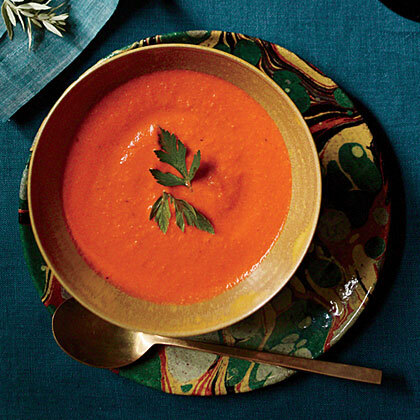 Inspired by the flavors of Spanish romesco sauce, this starter soup gussies up bottled roasted bell peppers with Marcona almonds (already toasted, saving a step), lots of garlic, and sherry vinegar. 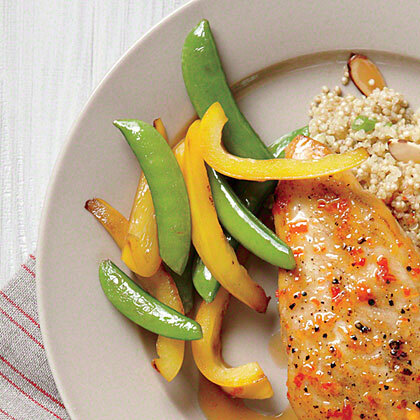 Green and yellow pair nicely together—especially when combined for Snap Pea and Bell Pepper Sauté. 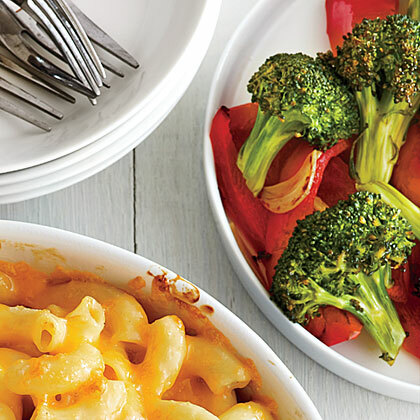 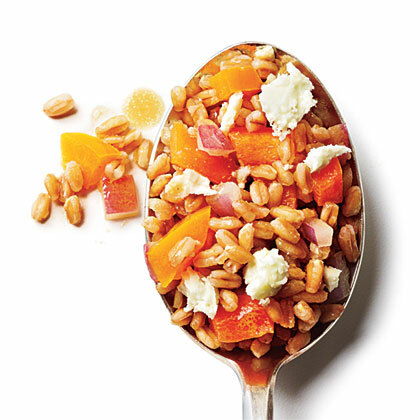 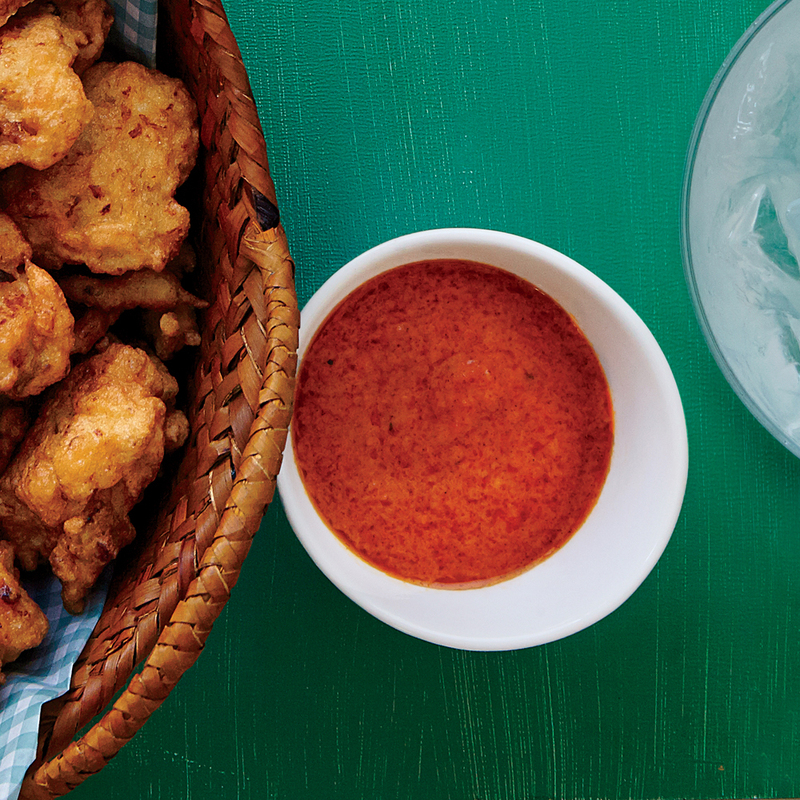 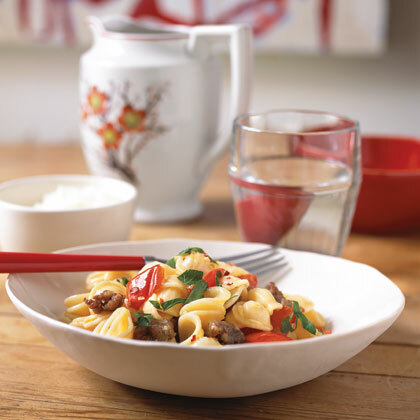 The easy side dish comes together super quick. 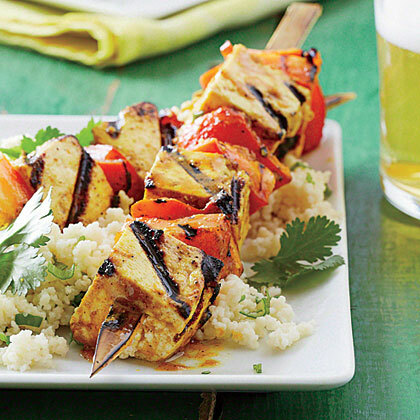 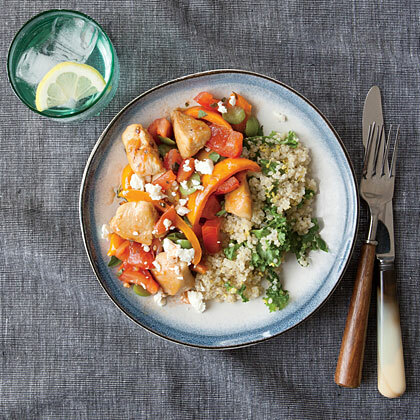 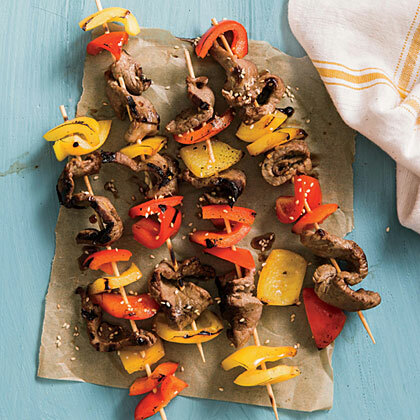 If meatless Monday is part of your weekly menu rotation, try flavorful Curry Tofu-and-Bell Pepper Skewers with Sticky Coconut Couscous. 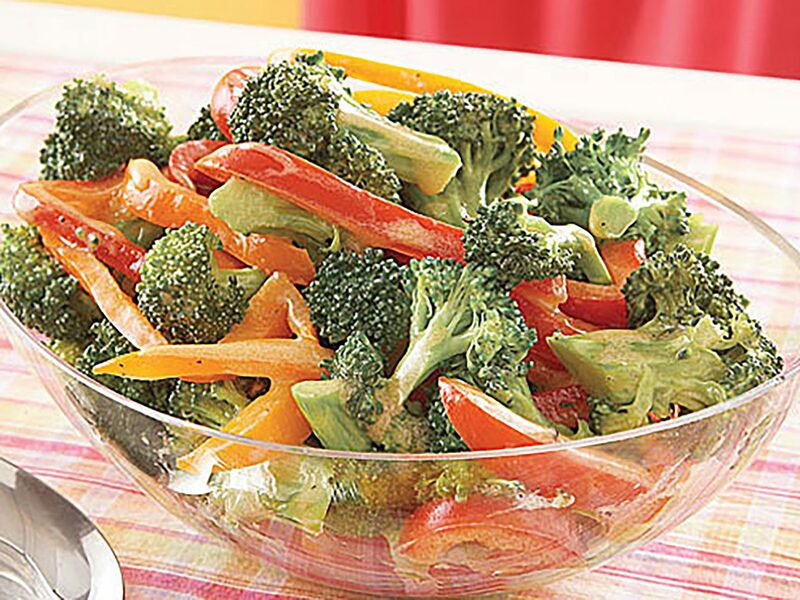 This quick and easy 5-ingredient broccoli salad is brimming with flavor and nutrients from fresh broccoli and bell pepper slices.